A gemstone is considered as a semi-precious or even precious stone piece that is first cut and polished in order to check them into jewelry or even other ornaments. Gemstones are widely used for astrology since they possess energetic and healing powers. According to the Vedic astrology, “gems are widely used for knowing the planetary flaws of the human’s astrological graph. These weaknesses many times are the prime reasons for physical and psychological troubles. According to experts, Gemstones are even used for’ Grah Shanti’ that means calling for peace with the planetary positions in order to have a smooth life. Vedic astrology sets 9 gemstones and one gemstone is associated with each planet among ‘navagraha’. Consider the factor that not all gemstones suit everybody. 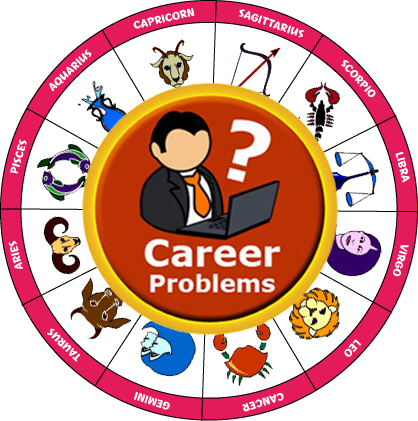 They possess both negative and positive qualities according to the astrological chart of a person. Just an expert Jyotishis can tell you which gemstone will remain fine for you. The nine gemstones are known as Ruby, Emerald, Blue Sapphire, White Sapphire, Pearl, Yellow Sapphire, or Diamond, Red Coral, Hessonite and Cat’s Eye. They are worn for Sun, Moon, Mars, Saturn, Rahu, Jupiter, Venus, Mercury, and Ketu respectively. Here, in this article, we will discuss some of the important facts regarding the Red Coral, which is linked with Mars. The Warrior Planet, Mars is known as a Natural Malefic equally in western and Vedic Astrology. The energy of the Mars’s is expected to explosive, hot, and violent, therefore the categorization “malefic”. There are different areas of life where this possible destructive energy is not just helpful, it is also important. Linking with Mars with warfare make a sense as in battle, particularly in traditional battles where fighting was direct one on one, this explosive, fatal energy merged with courage and physical strength is the primary force. This is not right as lots of factors are responsible for the effect the strength or flaw of Mars in a horoscope and the position of Mars in a specific sign is simply one of them. Moments come when Mars can turn extremely weak in a horoscope due to its position in its sign of debilitation, due to burden from one or other than one malefic planet in the horoscope. If Mars turns weak in a horoscope, it is not completely capable of defending it’s general and even specific significances and therefore the native may notice bad results or fewer good results linked to the importance of Mars. In case, the weak Mars is functioning as a positive planet in a horoscope, some additional strength should be offered to the weak Mars so that it might begin working in the right way in the horoscope and significance is being protected. It results in some positive things happening in different areas of the life. The additional strength is offered with the assistance of a unique gemstone known as Red Coral. This gemstone is extremely helpful in transferring the energy of Mars directly from the planet into the body of a person who wears this gemstone. Red coral gemstone which is also known as Moonga or Bhaum Ratna is renowned as the gemstone of Mars planet. As stated earlier, Mars is important for its sudden and unstable forces and results in anger, passion, dream, passion, and wishes. It is also held responsible for accidents, sexual desires, wounds, and operations. Red coral is a hot gem which found deep inside the seawater is known as a reef. As far as color is concerned, the color of coral is just red beside this it is also found in various colors which include white. The shape remains round and triangular. It is an amazing stone; hence, prior to wearing this stone, one should go through the major facts related to the red coral stone which will definitely amaze a person. How Red Coral Gemstone Works? The gemstone confines the energy of Mars right from the upper surface and shifts this power into the body of the person who owns it. The extra energy of Mars moved by Red Coral direct into the body of the native gives additional power to Mars and it begins working in a better way directly in the horoscope, aura and even in the body of the person. It is also important that a Red Coral is just proficient of boosting the power of Mars within the body and characteristic of a native by changing the extra energy of Mars and this gemstone is not proficient of changing the nature of the working of Mars direct in a horoscope. If for a person, Mars is working in a positive manner or even Mars is helpful in a horoscope, having the gemstone will boost the strength of Mars and the positive energy of the Mars brings strength, it will begin creating a good outcome for the native with boosted frequency and quantum. In the other condition, for a person, if Mars is negative or even Mars is malefic in a person’s horoscope, wearing the gemstone for Mars will promise for extra strength to this negative Mars and as it brings strength, it will begin creating troubles and losses for the native with more quantum and strength. Therefore, best care should be granted that just those people should dress in this gemstone, who have a positive Mars in their horoscopes while the natives having a malefic Mars in their horoscopes should not have a Red Coral as wearing this gemstone can bring serious troubles linked to the different field of the life. When it comes to the composition of this gemstone, Red Coral is prepared from skeletal remains of marine animals known as Coral Polyps. It is offered in different color options such as light and dark orange, medium dark red, light red, and dark red. The color of the gemstone plays a significant role to search for when buying a Red Coral though the color is not just perspective, which finalizes the class of this gemstone, and there is numerous another perspective, which can affect the best quality as well as the efficiency of this gemstone. Since the quality matters for the horoscope of the person, it is important for a person to pay attention to the color, size, and quality of the gemstone. You should pay attention to the weight of this gemstone advised by your astrologer and it is strongly recommended to carry a Red Coral which drops within the weight range suggested by the astrologer as modifying the burden of this gemstone with your own carefulness or on the guidance of your jeweler can bring unnecessary and undesirable results for you. Take an example, opting for a Red Coral is comparatively less in weight as compared to the weight of this gemstone advised by the selected astrologer may not call upon important good results or any outcome at all whereas shopping for a Red Coral which is quite higher in weight as compared to the weight of this gemstone, suggested by your astrologer can bring mild or even serious side effects. In many cases, it can even create negative outcome due to the native not being able to manage an additional energy of Mars, which has been changed into his body through this stone. Therefore, the due attention should be rewarded to the weight of Red Coral advised by your astrologer when buying the gemstone. Vedic astrology advice practicing important process before wearing a Red Coral, which might comprise the steps which include energization and purification of this gemstone. The process of purifying a Red Coral through which any negative energy close to this gemstone is take out with the assistance of Mantras and various another Vedic process. Meanwhile, energization of a Red Coral is referred to the procedure through which this gemstone is controlled with the assistance of Mantras and unique Vedic procedures in order to receive the best results. The practice of purification and energization of a Red Coral are practical processes and just professional astrologers who know the right process to carry out these processes should perform them. Once the owner has complete the process of completely purified and energized Red Coral fixed in a ring or in a pendant, the subsequently step is to wear this gemstone, which also engages some precise process. Vedic astrology advice that a gemstone of Red Coral should be carried on a Tuesday morning if you are wearing it for the very first time in the life. On Tuesday, simply walk up and take a shower, the native should purify the gemstone in the water of Ganga. In case, if Ganga’s water is not available, you can pore the stone in unboiled milk and even pure water just 8 to 12 hours before the time of wearing process of the gemstone. You can complete the process on a Monday evening and advice to be worn on a Tuesday morning. An aspirant person should take his bath on the morning of Tuesday, complete his prayers. After that, he or she should sit or stand in front of the ring or even pendant and he must first sing Beej mantra or Mool Mantra for 27 times and 108 times. Then he should pray to god Mars and inquire him to offer the best possible outcome from this gemstone. After completing the process, the person should take the Red Coral Pendant or ring, she or he should clean it with fresh water in case he had put it in a mix of unboiled water or even milk, then wipe it carefully with the help of a clean cloth and after finishing all these processes, the person should wear the Red Coral ring. It is important to note down that this gemstone should be wear on a morning of Tuesday and not an evening for the first time as it may result in many unwanted adverse effects or starting difficulties for the person. However, in case, the gemstone is worn, the person should keep having it for the entire life unless otherwise assured for by his astrologer. Carrying a Red Coral with right process advised by Vedic astrology can approve the native with several goods as well as positive things. Thus, every person is advised to wear this gemstone with the right procedure in order to find out most benefits from this gemstone. Moreover, it is important that the owner of the Red Coral should time to time clean it in order to have the positive benefits from this gemstone. 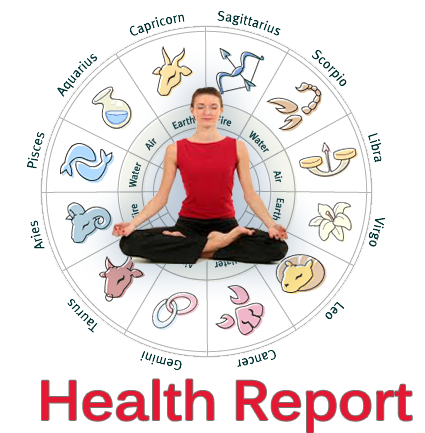 It is also advisable to consult a good astrologer who has good knowledge about the gemstones. A wrong decision can ruin the entire life. 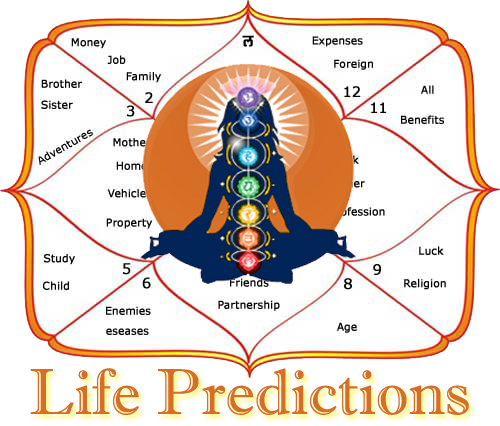 Contact the expert astrologer now!